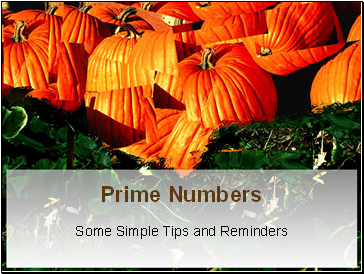 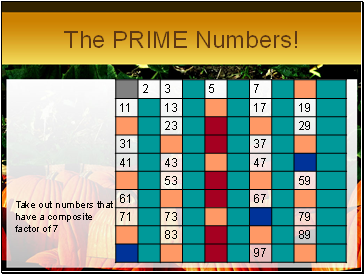 Prime Number – An integer whose only factors are 1 and itself. 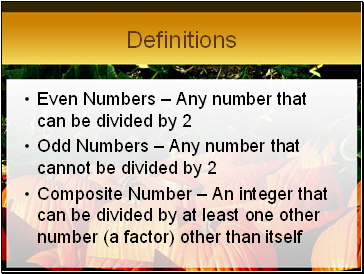 Factor – a number that can divide another number without a remainder. 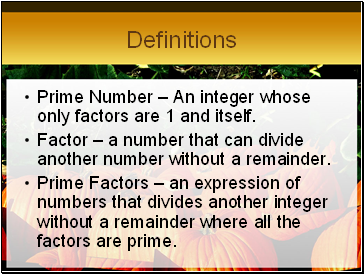 Prime Factors – an expression of numbers that divides another integer without a remainder where all the factors are prime. 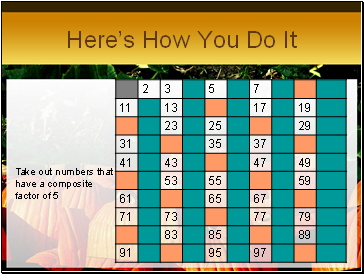 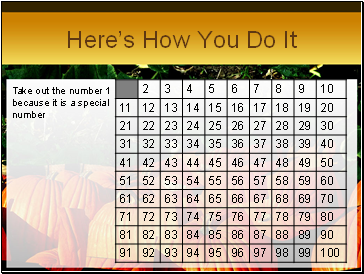 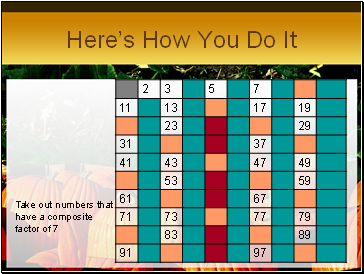 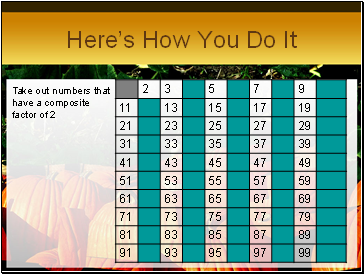 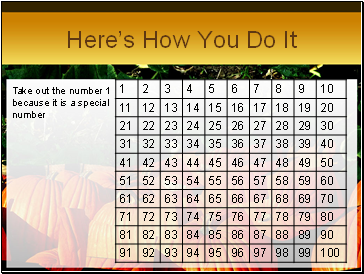 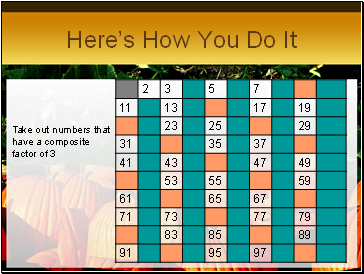 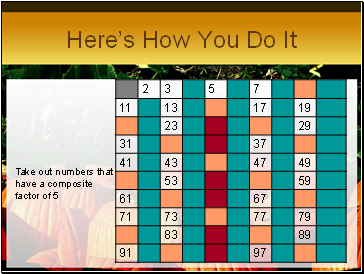 Let’s look at a number grid from 1 to 100 and see how they were discovered. 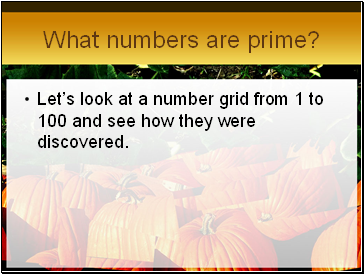 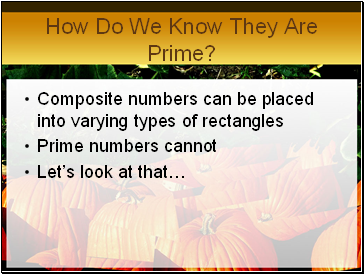 How Do We Know They Are Prime?